The choice of celebrating with friends after winning in football betting has claimed it first casualty in Calabar as a man dies after being poisoned while drinking with friends. 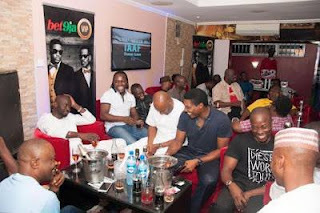 A Brainnews NG source gathered that one Mr. Orok who won 2million Naira at Bet9ja, a football betting company in Calabar died after celebrating with friends at a drinking joint. Mr. Or ok (Surname withheld) who was also a staff of Bet9ja was poisoned by an unknown human who claimed to be his friend, thereby terminating the future of this young man. According to a closed friend, Orok died after vomiting blood. The deceased is a native of Calabar South, a local government in Cross River State and resides in Mount Zion Lane. He was buried on the early hours of Tuesday, August 23 2016 at the Goldie Cemetery. Brainnews NG extends her condolence message to the deceased family and prays for God to give them the grace to bear the lost.